"Rookie" has already garnered his CDX and he's not even two years old yet. 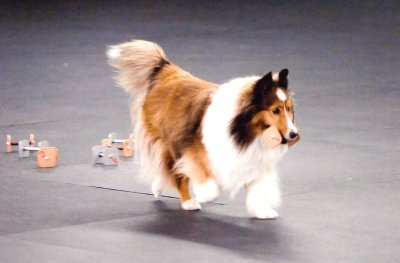 "Rookie" is owned and trained by Christe Hampel, Guyton, Georgia. They are such a team, Christe and "Rookie" have plans to add more obedience titles to his name. What a delight to see such a team! "Dixie" was multi-talented. 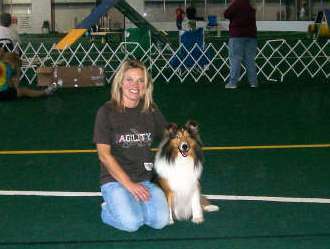 In addition to obedience, "Dixie" enjoyed agility. "Dixie" was owned and trained by Cindy Onder, St. Charles, Missouri. Photo taken by David Schweihs of Critter Photography. 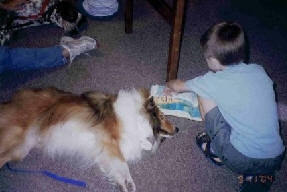 "Chance" is a go-anywhere, do-anything sheltie. He enjoys all facets of his life. "Chance" enjoys expending energy doing herding, obedience, and agility. 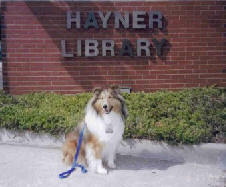 His leisure time is spent as a therapy dog assisting children at the Hayner Library. "Chance" is owned and trained by Carolyn Blasingame, Collinsville, Illinois. 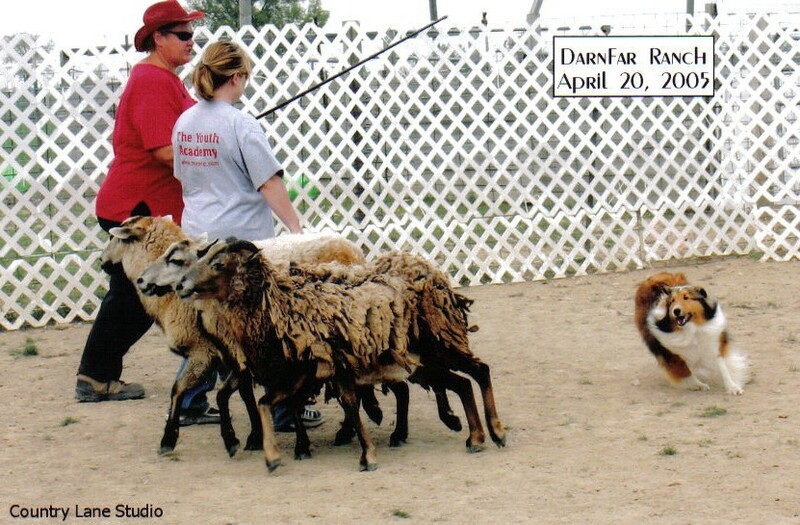 After "Mandy" finished her conformation and agility championships, it was thought that herding sheep might be to her liking also. So, away they went and now "Mandy" has a herding title to add to the end of her name. 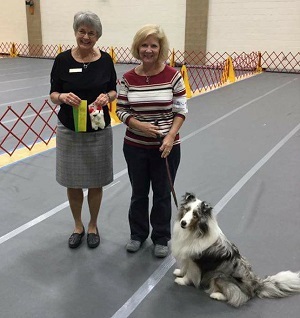 "Mandy" was exclusively handled to her conformation and agility championships and to her herding title by my daughter, Holly Potts.